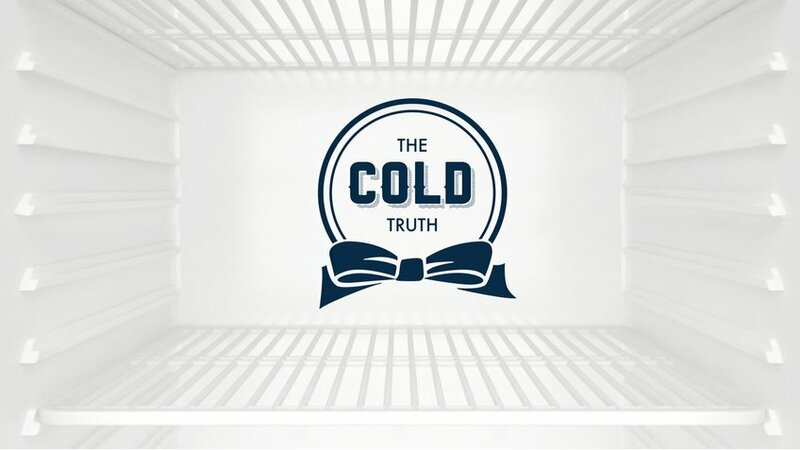 75% of people in the UK are running their fridges to warm – making their food go bad. 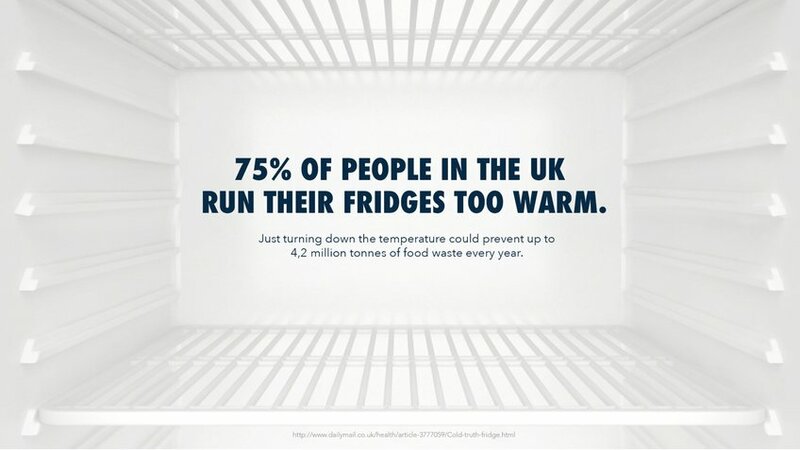 Just turning down the heat could prevent up to 4,2 million tonnes of food waste, every year. 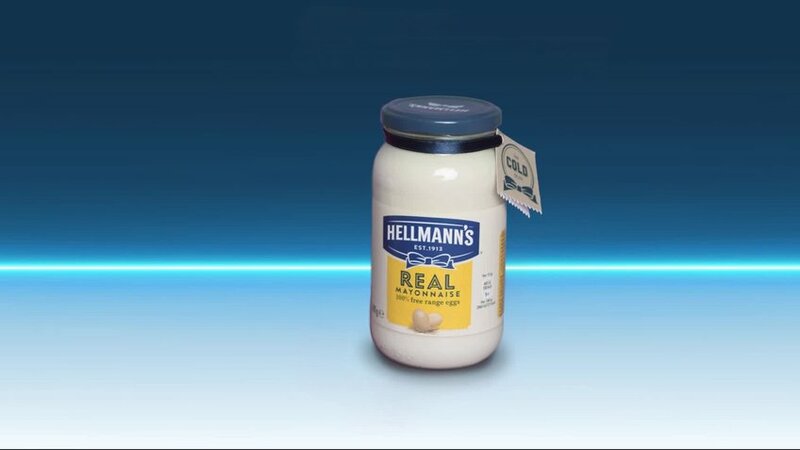 So we created a new lid for Hellmann's products. 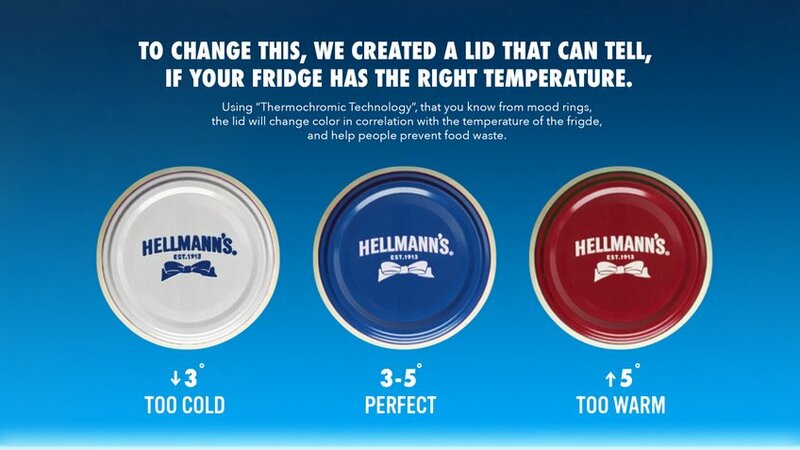 The lid contains "Thermochromic Technology" that you know from mood rings. It makes it change colour in correlation with the temperature of the fridge. 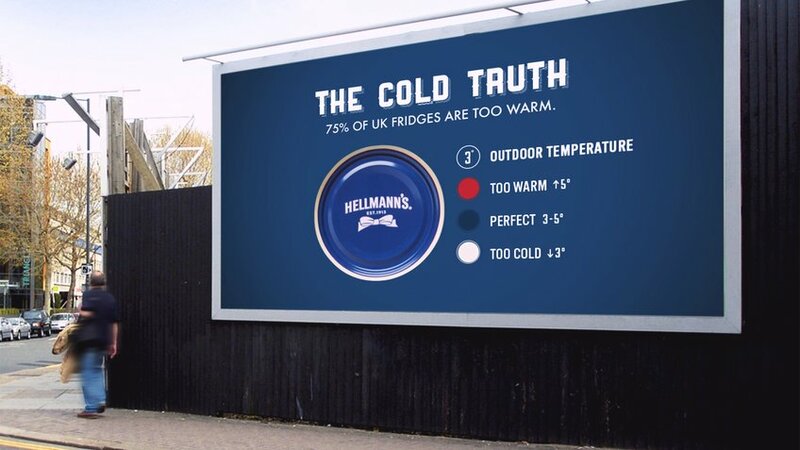 This way your Hellmann's products will help you prevent your food from going bad, just by looking at the colour of the lid and adjusting the temperature.